Gritstone Fire surrounds, designed, manufactured and fitted by Natural Earth Products. We will complete all aspects of work required from removal of existing fireplaces, preparing to receive a new fireplace and installing a beautiful new hand carved surround. 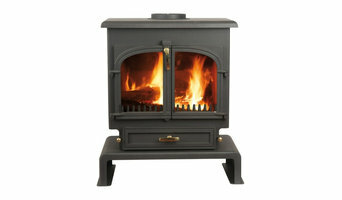 We also supply and fit Clearview Stoves so can provide a full service. We are also very passionate about renovating existing fireplaces to bring them back to life. A large range of stone tiles and oak flooring is on display in our showroom and we can supply a full fitting service for these too if required. We have years of experience working with stone and we have been working in the industry for nearly 20 years. As well as fireplaces we can take on all aspects of masonry design, door and window surrounds and other stone features are all catered for. 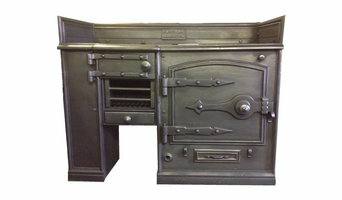 Britain's Heritage Leicester was formed in the early 1980's by Jeff and June Dennis and with a small team of expert restorers is dedicated to offering one of the largest selections of fully restored Antique Fireplaces in the country. Britain's Heritage fireplaces are displayed to great effect in the four large showrooms of Shaftesbury Hall Leicester. All Britain's Heritage fireplaces have been carefully restored to their original splendour in our own workshops and are complete and ready to install. Britain's heritage also supply multi fuel Defra approved stoves and supply/manufacture a large range of modern reproduction fireplaces. Our reproduction range can be customised in our workshops to our own customers specific requirements. Lloyds are genuine fireplace specialists. We have over 30 years experience in the design, construction, supply and Installation of top quality fireplace solutions. We promote leading brands backed with quality reputation and after sales service. Ideally located to serve Chesterfield, Sheffield and surrounding areas. Our luxurious showrooms at the end of Whittington Moor, Chesterfield bring fireplace ideas to life. We offer a fine selection of traditional fireplace products including stone, marble and timber fireplaces, gas and electric fires and a great range of woodburning and multifuel stoves. In addition to our local market, we are the exclusive UK partner of 'J C Bordelet' suspended and central fireplaces. We offer a nationwide design, supply and installation service either directly or through our network of specialist partners. Our work can be found in many of the countries finest properties and we provide the complete 'start to finish' experience either directly or via Architects, builders and interior designers. Robeys is a leading supplier of distinctive fireplaces, stoves, cookers, refrigerators, outdoorliving ideas and interior inspirations. Set in the heart of the beautiful Derbyshire countryside we offer an ever-expanding range of exquisite products from craftsman the world over. Leading names including Harrie Leenders, Piazzetta, Rais, Borek Outdoor Furniture, Brunne, Ortal, Meneghini & Lacanche. But more than that, we offer something that money simply can't buy. You'll find the level of care, technical knowledge and attention to detail that our highly trained staff give you, is what makes dealing with Robeys such a pleasure and the reason so many of our customers come back time after time. 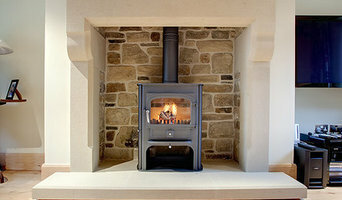 Woodburning and Multifuel Stoves Retailer and Fitters. Chimney Sweeping and Servicing. We are a family business who have been designing and installing fires for over 43 years, we are proud to say that we are the oldest fireplace shop in Nottingham. We specialise in designing and installing bespoke fireplace suites tailored to your individual needs. Here at the Fireplace & Stove Shop Nottingham we have hand picked the finest range of Fireplaces, Stoves, and Accessories from some of the best suppliers in the country. In our warm, inviting showroom you can come and have a chat in a relaxed environment and we will make sure you find yourself the perfect fireplace, whatever your style is. As specialists in fireplace design and with many years experience we have encountered most obstacles in the fireplace trade so if you have a problem, call us. We are here to help, no job too large or too small. If you don't see what you are looking for please contact us. Renamed in 2010 after being part of a national franchise business for 6 years, trading at the same location in Derby the team at Embers Heating Studio take pride in their work and care about the service and standards we achieve for our customers. Our aim is to keep growing and constantly improve our range of products and services, building on our reputation for quality and service. At Embers Heating Studio we have a wide range of high quality fireplaces, fires and stoves to choose from. We sell most brands of fireplace made in marble, limestone, cast iron, wooden mantels and many more from contemporary and modern to traditional designs. Our range of solid fuel fires, gas and electric fires are all available at low prices but with a high level of customer service. Take a look in our gallery for some show room examples or call in for a browse and some friendly advice, we look forward to seeing you soon. Derbyshire's finest showroom. With over 30 years experience in the fireplace retail environment. We have the area's finest showroom. Our contemporary designed and spacious showroom, showcases the very best in Stoves, Fires & Fireplaces. Showcasing 'Best of British' products from around the UK, we have the latest fires from the best brands. All our displays are live, enabling the customer to interact with all our displays, encountering an "in-home" experience. Our relaxed and friendly environment, ensures the very best help and advice on hand, into helping customers find their new focal point and heating appliance. Welcome to Kimberley Fireplaces and stoves where we offer a great range in electric and gas fires fireplaces, stoves and wood burning stoves. We are a stonemasonry company in the heart of Rutland. We hand craft unique limestone fireplaces in local stones in out workshop in Manton. We also undertake architectural stonemasonry projects with some of the county's finest building companies. We provide stone cappings, mullions, cills, heads, steps and all stone for building projects. We also provide and fit log burning stoves. A S Chimneys are professional and dedicated chimney sweeps working in Ashbourne and the surrounding areas. If you require a highly experienced chimney sweep or chimney cleaning in Ashbourne or outside Ashbourne then A S Chimneys are qualified to service your chimney to the highest standards and at an affordable price. Retail fireplace showrooms with over 40 displays. Latest designs in electric and gas. A range of multi fuel and wood burning stoves available. This is our 30th year of supplying quality fireplaces. Some fuels burn more efficiently than others in certain conditions. But it is also about the ambience that different fireplaces and stoves can create. If your chimney is functioning and the flue is in good working order then you might prefer a traditional wood-burning stove, log-burning stove or Victorian fireplace for your period property or cottage. Combined with a marble or stone fire surround, the latter will add a rarified sense of grandeur to any dining room or lounge, but it does take a while to get going. Ventilation is also an important consideration, as is practicality. You’ll be clearing away ash on a regular basis. First thing’s first though: check with your Nottingham, Nottinghamshire authority to see if you live in a Smoke Control Area – fireplace installation specialists in Nottingham, Nottinghamshire may also know this. Compact freestanding stoves, either multi-fuel, gas, oil or electric, have become very popular in recent years as homeowners try to rekindle the open-fire romance of yesteryear. But if efficiency, lower energy bills and fuss-free heating are more important, a gas fire scores highly, particularly the flueless gas fire variety, which draws waste gases out through a duct. You will also have much better control of the temperature. That said, the gold standard of sustainable heating and performance is the bioethanol fireplace – smoke-free, odourless and not a speck of ash to be seen. Meanwhile, fans of sleek and minimal design will melt away at the sight of a hole in the wall gas fire. These preserve valuable floor space, will comfortably heat a small living room and come in a variety of beguiling forms – a fire ribbon row of flames, a fire bowl or fire basket with pebbles. It’s like magic. Ask your fireplace installation expert in Nottingham, Nottinghamshire or local showroom to show you all of the different types so you can clearly see the difference. When considering your options, talk with your fireplace installation specialist in Nottingham, Nottinghamshire about the size of area you wish to heat, the current sources of heat (such as central heating), potential heat loss (through windows, for example) and degree of insulation. If your home is modern or well insulated it probably makes sense to choose a fireplace, fire or stove that works efficiently on a low setting to avoid over heating! Where can I find the best fireplaces, specialist fireplace showrooms and fireplace installation in Nottingham, Nottinghamshire? Search on Houzz for Nottingham fireplace experts and showrooms in the Find a Pro category and then start collecting your favourite images in an Ideabook. Contact your preferred company for a free consultation in their showroom or at home. Many will be able to offer a comprehensive service, from consultation and bespoke design to installation and aftercare. Don’t run straight to the cheapest. Build up your knowledge and balance price with quality of design and service. Search for fireplace showrooms and specialists that offer fireplace installation in Nottingham, Nottinghamshire on Houzz and see past projects, photos and reviews in order to find the best fireplace and professional.